I am an Interaction Designer experienced in visual design, user experience, prototyping and illustration. Dedicated to creating intuitive, enjoyable and beautiful digital experiences. I am currently on the look out for my next opputunity. If you have an interesting project you’d like to share or an opening at your company get in touch. 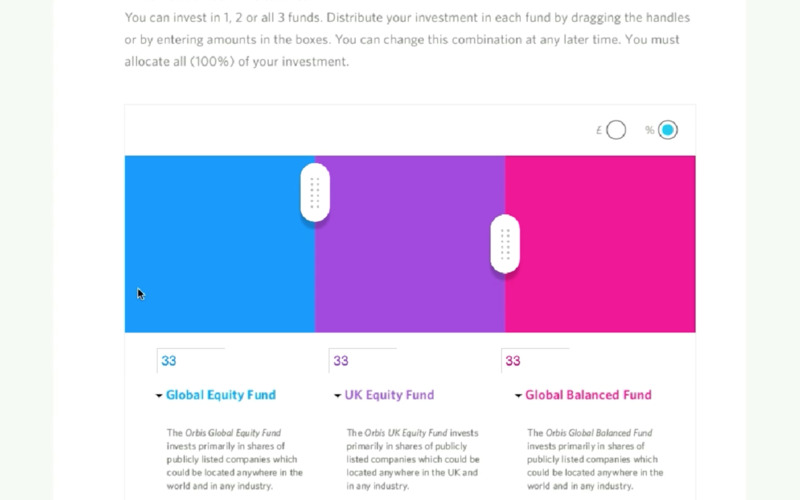 Orbis Investment Group have over 25 years experience in investing for institutions and high net worth individuals. With the shift in the financial climate and the public distrust in traditional banking, they saw an opportunity to open up their investment expertise to everyday people. My role saw me working alongside a Lead Designer and User Experience designer, set with the task of translating and developing the brand through the online touchpoints, while finding a way of communicating a complex financial product to an audience with a range of knowledge and experience in investing. The design language and brand beliefs developed for the marketing site were carried over to on-boarding process and investment tools. 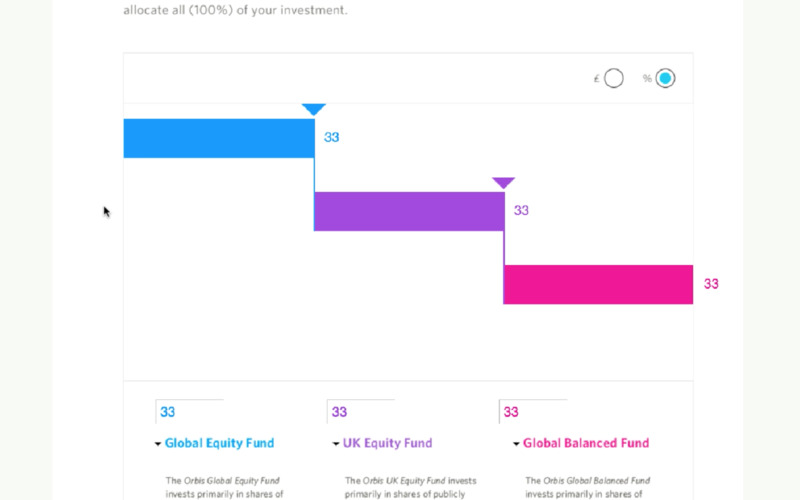 Below are two prototypes of the fund distribution tool I developed to explore how our approach would translate. The site lead the brand development for this project. We had to think systematically, producing guidelines and rules for the developers and future designers. The illustrations across the site were designed to help enhance the copy, and in some cases when combined with the headers created a clear narrative at a glance.